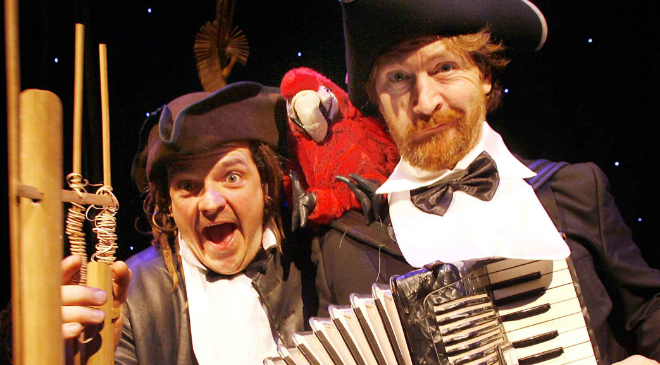 The holidays mean we hit the road looking for cultural adventures farther afield. We have loads of trips planned in the Greater Dublin area, and a few Cork, Kilkenny and Galway journeys ahead. Here is the current hit-list in our car, to make the journeys bearable for mum and the boys. Would love to hear what gets your kids going in the car. A brilliant Irish compilation of nursery rhymes played trad style. The instrumental interludes are as big a hit as the familiar songs. I have gifted this CD dozens of times since I came across it earlier this year. 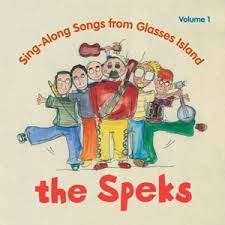 The Speks have a live show which will be hitting the Pavilion in Dun Laoghaire in September and we are very excited. but it remains hugely theatrical, and has my boys joining in (unusual) in perfect time (a miracle). We picked this one up at the library and have had it on repeat-loan for a few months. The stories are drawn from the pantheon of world myth, and apart from the legendary conflict between Finn MacChumhail and Cu Chullain we hadn’t come across a single one of the tales before. 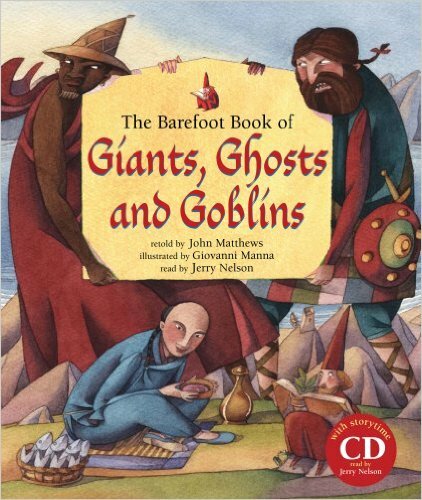 The narration is by Jerry Nelson, a former member of Jim Henson’s Fraggle Rock Team and it is brilliant. We will be seeking out more from this series. Now if only they would do a compilation of their terrific toddler songs, which are available on Youtube. Okay this one is my choice, but they happily go along with it. The music appeals to them, but it is the narrative thread of Major Tom that has the older boy in particular hooked. 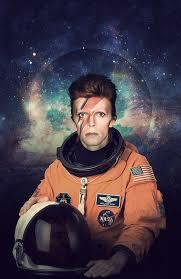 Major Tom itself is the anthem that finishes off many of our space games if Darth Vader hasn’t taken over. We celebrate Bloomsday every year by climbing the Martello Tower in Sandycove, the starting point for Leopold Bloom’s journey in Ulysses, and where Joyce once lived with his mad friend Buck Mulligan aka Oliver St John Gogarty. The tower now houses the James Joyce Museum, and our Bloomsday adventures are always peppered with impromptu performances from some of Joyce’s texts, which probably make more sense to the kids than they do to me. This morning, under a leaden sky, we were treated to part of an opera based on Ulysses, and the sight of locals variously attired in Edwardian gear. I am a veritable expert on Joyce’s life, if not his literature, so, in true juvenile style, I use the weirdest anecdotes to regale the children with as they rush past the glass exhibition cases and up the, extremely narrow, extremely steep steps, which my two hardy knights are adept at climbing. (Incidentally the first time we climbed them, my 4 year old was 2 and my 2 year old was a baby in a sling). The tower-top is very secure, though, and there is a cannon and a brilliant view of ‘ghost ships’ on the foggy horizon. 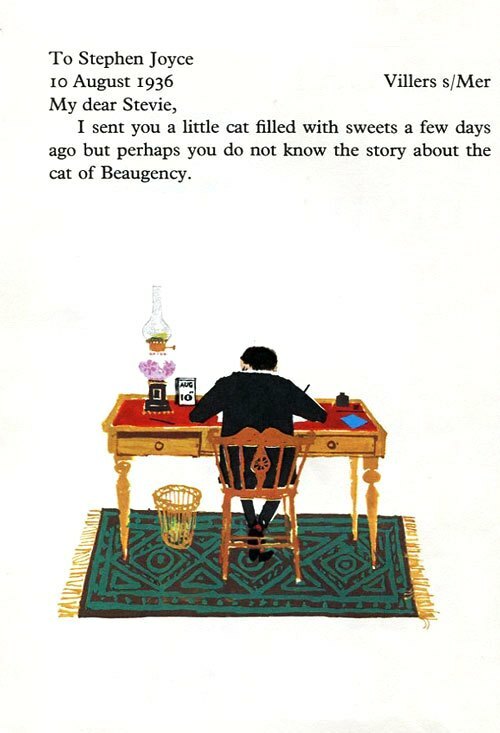 James Joyce was shot at by his friend one night when he was mistaken for a black panther. The sculpture of his head in the museum is actually a copy of his death mask. 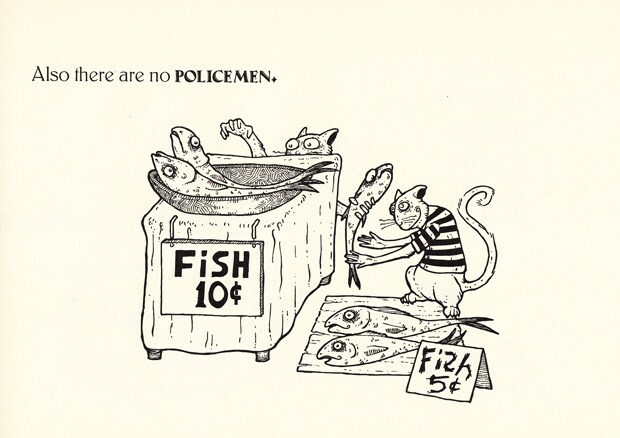 Oh, and he wrote two children’s books, The Cat and the Devil, and The Cats of Copenhagen, pictured below, so I suppose you could also say he had a thing about cats.